Why not? It makes a lot of sense - why has nobody developed one? It would make so much sense from a military standpoint, but I know it would not be "Star Trek". The biggest issue I can see is that a ship carrying small craft needs to lower its shields to launch or receive them, which limits the ability to use them in combat, and the smaller craft that are still effective in combat (and DS9 shows that Starfleet does use them) are warp-capable in their own right, so there's less need to provide them with close support. At that point, you need a dedicated carrier less than you need a big ship with a big launch bay at a distance behind the front line. a big ship with a big launch bay at a distance behind the front line. A mobile Starbase might be kind of a cool idea to develop for a high-powered Dominion War style campaign. one problem with a carrier is that with the way trek technology works, you need a big warp core to provide power to the weapons etc, and the bigger the ship the more effective it seems so in trek a carrier may not be as effective as a battlecruiser. There’s a few in beta cannon. Working on a TOS version for Continuing Mission due in a week and change. And there’s also the Valkyrie carrier in the DS9 era. 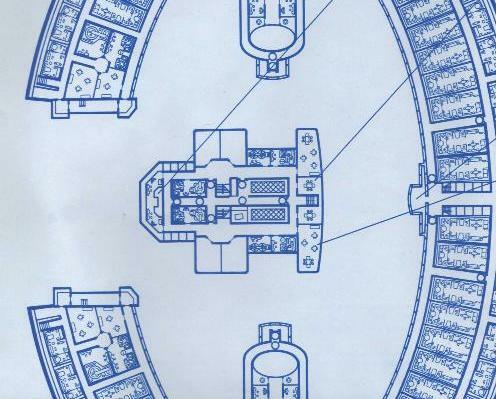 If you look at the deck plans for the saucer of the Enterprise D, you’ll see that she has a massive multi-deck hanger. I’m currently planning on a TNG era campaign where the Starfleet and the Federation have a decidedly more Heinleinian feel to them and plan on using the Galaxy and Ambassador classes as Starfleet ‘Heavy Battle Carriers’. Although even if you don’t want to stray from the core setting as much as I am, looking over the ships, they could more than easily be adjusted to fit the role of carriers, especially during the Dominion War. 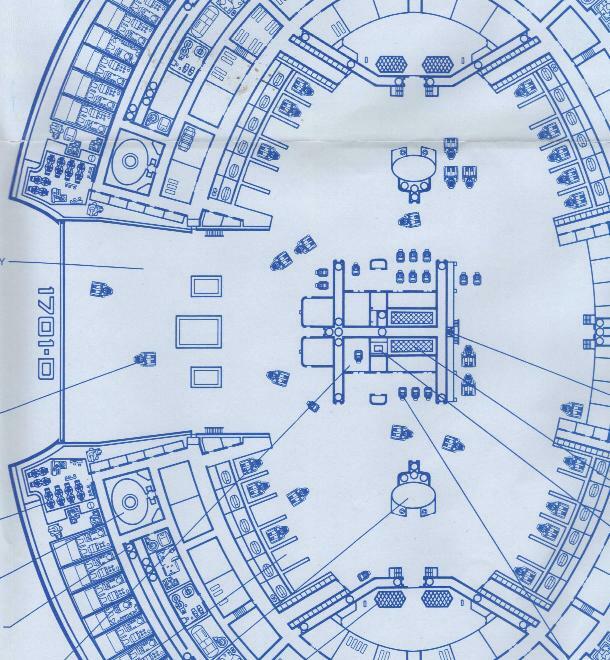 Unfortunately as a result of the show lacking the budget required to build such a massive set we never get to see the Enterprise’s main shuttle bay during the run of the show, but from the Blueprints that Rick Sternbach drew up, we know that’s it huge. If you are looking for why we may not often see carriers in Star Trek for my games I’m adding in a bit of technobabble to say that prior to the 24th century the Federation lacked the ability to efficiently project large warp fields that could sustain heavy craft at the high warp velocities expected of Starfleet ships, thus retarding the development of proper carrier platforms and thereby limiting the utility of carrier dependant strike-craft. I think I might underscore this with 23rd Century carrier designs being overloaded, ungainly, and underpowered, with prime examples like Napoleon (from beta canon) and Constellation classes. My understanding was that it wasn't the carriers that were the issue (after all we have the Miranda, the Constellation, as Tim notes, and the Akira), but the fighters themselves. 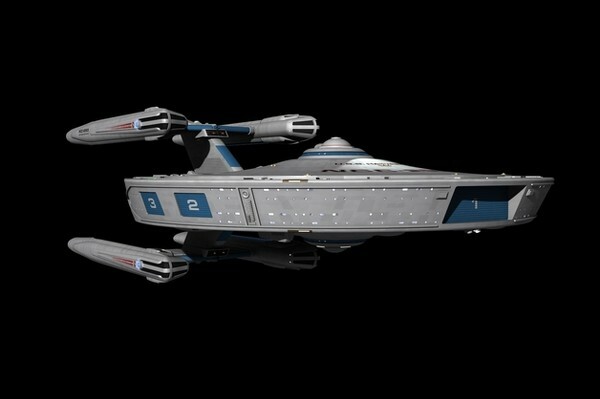 Unlike the real world, firepower in Trek seems to scale with vessel size. This means that a small shuttlecraft armed with a couple of heavy ground phasers and maybe a couple of photon torpedoes (before the advent of microtorpedoes) just won't be of much use in a fight where a glancing blow from a starship disruptor would simply disintegrate it. 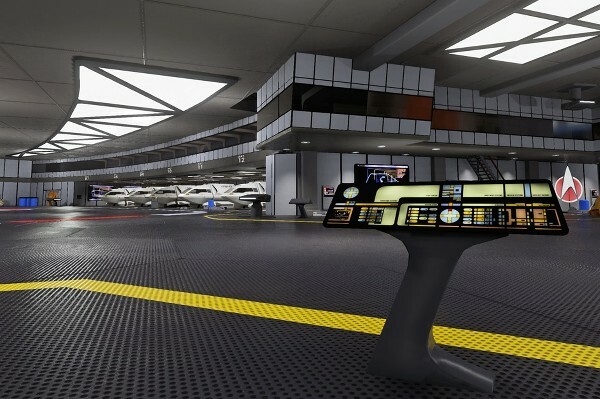 I can't see Starfleet going out of its way to develop a system that would result in the rapid deaths of highly-trained officers, although the Romulans obviously have no issue with the idea (or the Klingons in Discovery). There's still plenty of need for the vessels with the Extensive Shuttlebay talent - just not in combat... Which is annoying, as I'm currently trying to justify including the 23rd century Hornet class (basically a light carrier) in my headcanon! 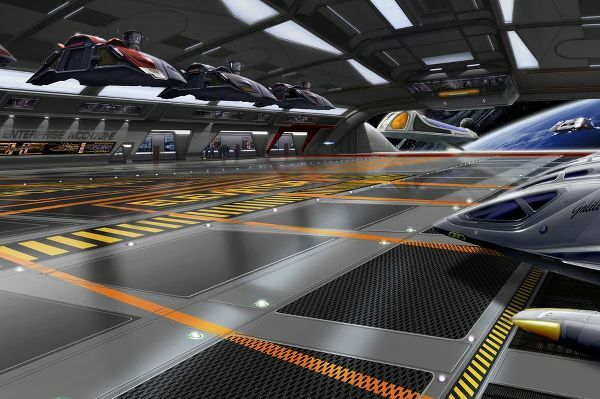 A couple of ideas spring to mind that, after 2371, both the aspirational excellence and aspirational limitations of the Galaxy class were coming into focus—its generous luxury versus practical applications. Particularly the dedication of large parts of the Galaxy’s generous spaceframe to family life. 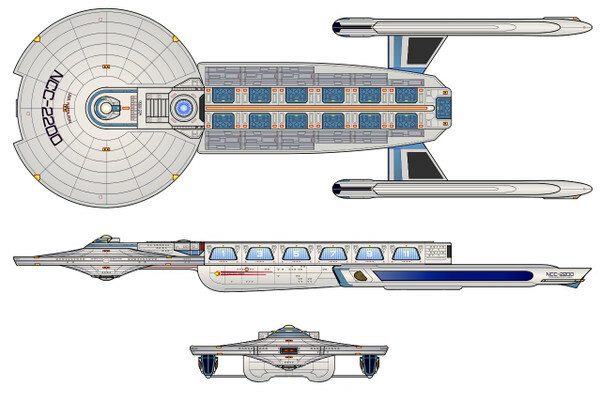 I do not get the sense “families aboard” was a design priority for Enterprise-E. So perhaps the Admiralty was experiencing a change in emphasis. Therefore it does seem reasonable the Galaxy class in the Dominion War might’ve seen refit for missions like carrier and hospital duty. It probably wouldn’t take much time or effort to blow out all the lower decks in the saucer section for a massive hanger, necessities of war. I'm given the impression that star fleet concluded families aboard starships where bad ideas after they lost a buncha galaxies. Do we know how many they built? Obviously 4 (Galaxy, Enterprise, Yamato, Odyssey), 5 if you include the Venture... Have any others been mentioned? 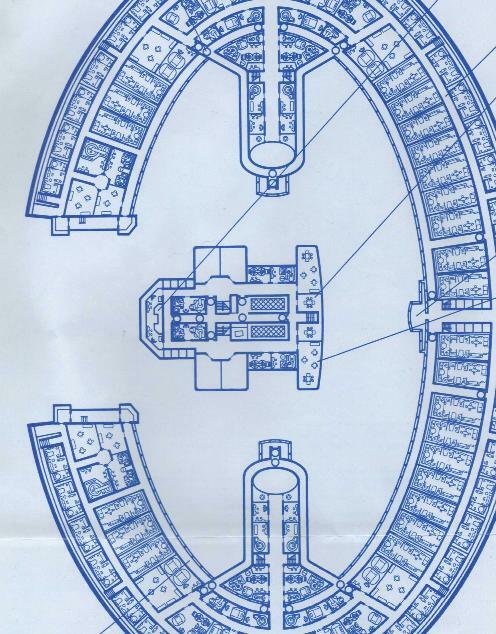 @PatHenry: the TNG technical manual goes into a lot of detail about how the Galaxy hull is basically a big hollow bubble, with everything strung up inside. It wouldn't be much effort at all to reallocate a lot of the space. I do remember the Dark Mirror novel, where the ISS Enterprise was the same size, but full of troops and weapons - the potential is frightening! Venture is canon BTW she appers in DS9. according to the Next gen tech manual, they completed 6 and then had 6 mostly finished hulls in reserve. Memory Alpha lists 5 as having appered for sure in Trek (Galaxy, Enterprise, Oddessy, Venture, Yamato, and Challanger, although Challanger appered only in future timelines so it's status is iffy) furthermore in some of the scenes for deepspace 9 we see multiple galaxies involved in the fighting, there and in voyager's last episode Endgame we see no less then 7 Galaxy glass ships. We can thus conclude beyond a shadow of a doubt that the 6 reserve hulls where activated, and Starfleet had a minimum of 12 galaxies. However in light of the Borg threat and then the Dominion war it's also highly likely Star Fleet began cranking out others. But yeah, there where MINIMUM a dozen. very likely more. Thanks for all that, that's exactly what I wanted to know - but it is a surprise! Activating reserve hulls makes sense, but I'd still quibble over them building more for wartime. The Galaxy is a big, complex ship, which would take a lot of resources to construct. 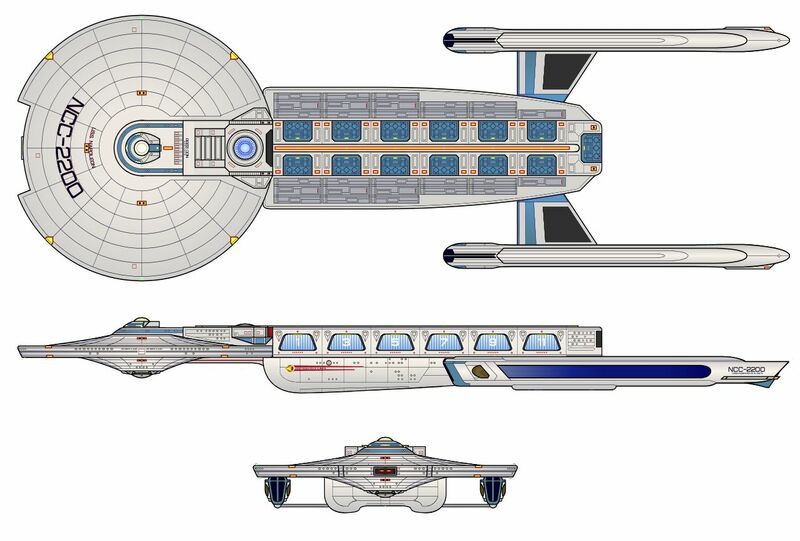 It also has a large cross-section from most angles, which makes it a little less suitable as a warship (and back to the ISS Enterprise which probably wouldn't have existed in a "real" mirror universe) - it would be a phenomenal weapons platform though. I'd have thought the likes of the Akira and the smaller vessels would be more suitable for rapid building and deployment (I think I read something in STA that agreed but my memory is hazy...). Traditionally, bigger is better in Star Trek. The Defiant class was basically the equivalent of a fighter. 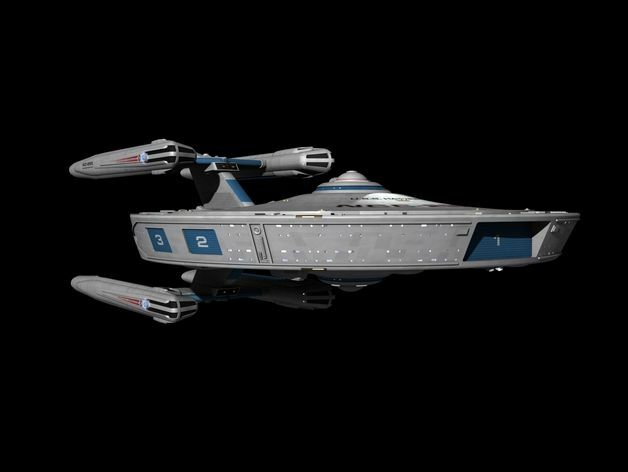 In the Dominion war, we have seen the Federation use small attack fighters. While they seem to be able to use warp drive, it also stands to reason that there have to be some sort of carrier ships. The good thing is that the Federation has an abundance of ship classes, so you can designate some carriers for your game. 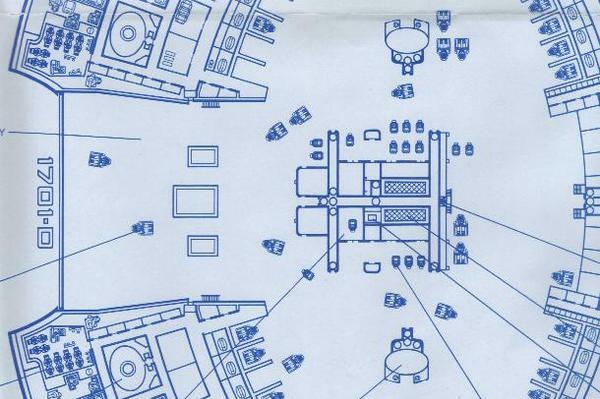 I've seen (non-canon) deck plans of the Akira and Steamrunner classes, and basically almost the entire saucer is one giant flight deck, which I find pretty cool. I use this in my game. @Shran: I think that's pretty much canon for the Akira; the designer certainly planned it that way. @joncrew: I totally agree. Depending on the rendering though, the Akira sometimes has torpedo launchers instead of shuttle bay doors. 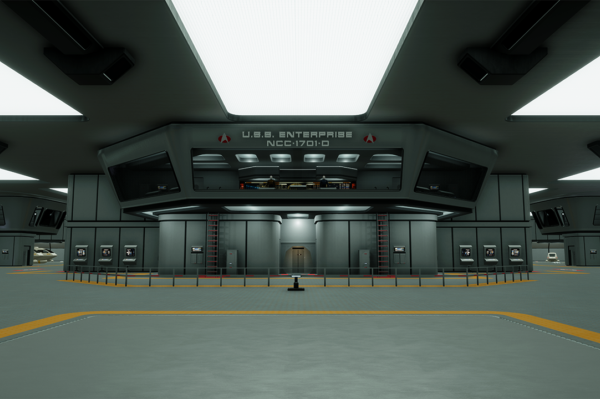 And I the Steamrunner has (again depending on the rendering) shuttle bay doors in the front and back (or bow and stern?) 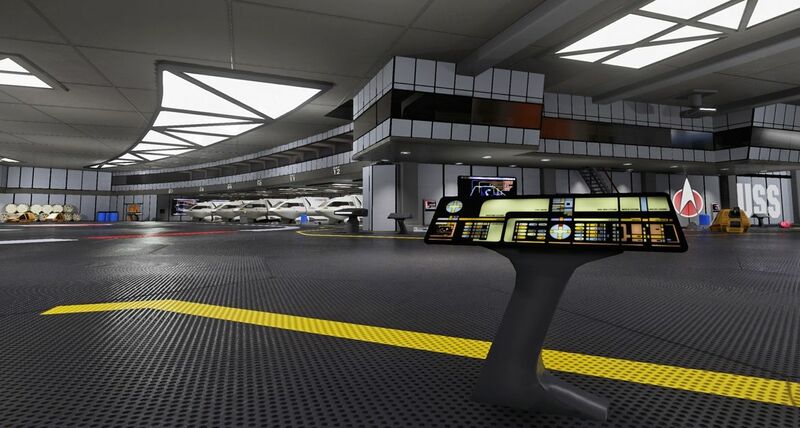 which could also indicate a large flight deck. In any case, it seems that everyone agrees that it totally makes sense for Starfleet to have that. I don't know anything about the US Navy (except from the stuff I learned watching JAG), but it would make a fun campaign playing on a carrier. You would need additional roles such as the space CAG or space Air Boss or whatever.